A recent study published in CHEST Journal, the official publication of the American College of Chest Physicians, revealed that 13 years after the September 11 attacks, most firefighters exposed to toxic dust “continued to show a lack of lung function recovery.” However, the study did note a lung function benefit among affected firefighters who stopped smoking. The study, a follow-up to similar investigations conducted one and six years after the attack, examined the health of more than 10,500 FDNY firefighters who had been 9/11 responders and/or search, rescue and recovery workers. 90 percent developed acute coughs following 9/11. 50 percent developed persistent respiratory symptoms. 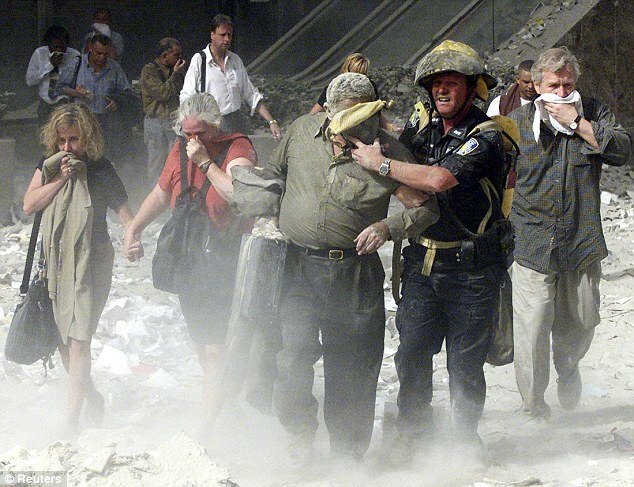 About 1,000 firefighters who served at Ground Zero retired on respiratory disability. Firefighters arriving at the World Trade Center site on the morning of 9/11 continue to have significantly lower lung function on average than those arriving several days later. The magnitude of the persistent decline in lung function among 9/11 firefighters was much greater than that among firefighters who suffer other exposures, according to Dr. Lawrence C. Mohr of the University of South Carolina in Charleston. He blames the high toxicity of the “pulverized building materials and the chemical by-products of combustion and pyrolysis (high temperature decomposition)” for the greater degree of harm that 9/11 firefighters suffered. As for the evidence that smoking contributes to a persistent loss of lung function, Mohr recommends that smoking status be made a factor in fire department hiring, with a requirement that applicants prove they’ve quit smoking before they can be hired and aggressive initiatives enacted to help current firefighters quit smoking.